A perfect artwork for Audiophiles born under the Year of the Horse. Your CIEM. Your Year. Only with Unique Melody. Colors are visual perceptual property and it means differentiating left and right earpieces for Audiophiles’ Unique Melody IEM. Worry no more! Have your Unique Melody IEM without the hassle of making ear impressions and additional costs with its Universal Fit! Same built quality. Still artwork-friendly. Undeniably hand-crafted with love. Unique Melody Mentor in one of the most famous color combinations of Baby Blue and Baby Pink. Without a doubt, it is a beauty inside and out. Unique Melody Merlin in a classy Smoke and Purple combination with metal insert and UM metal logo. Whatever color and artwork is in your mood today, we've got it all for you! Reshelled IEM plus additional 1 driver in Dark Violet faceplate, Clear shells with UM metal logo and metal insert artwork. The quality of their craftsmanship is bound with pride and joy. Totally artistic. Undeniably unique. Unique Melody Merlin in Dalbergia Wood. 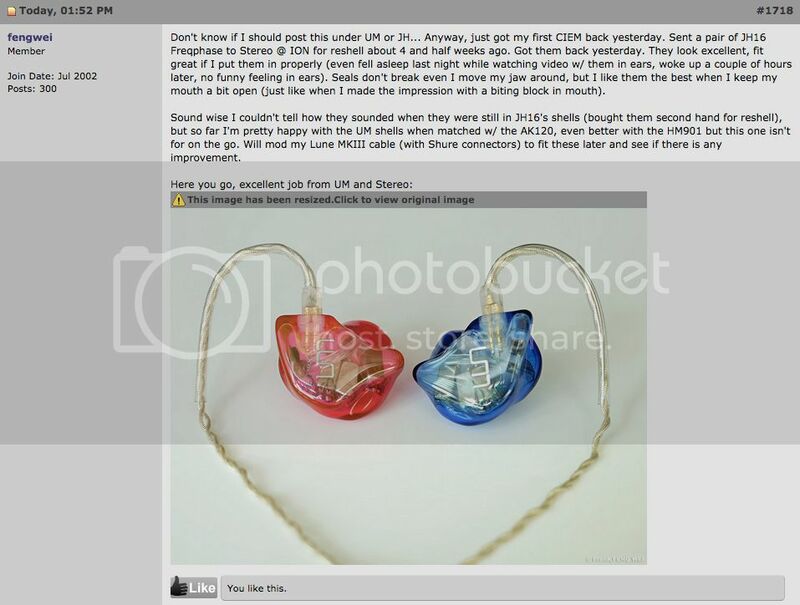 Thank you, Koh Chong Tang for sharing the finished product of your CIEM. The artwork looks incredibly cool, unquestionably unique! Unique Melody Merlin in (Right) Light Smoke faceplate, Red shell, Orange tip and (Left) Light Smoke faceplate, Blue shell and Dark Smoke tip with artwork. 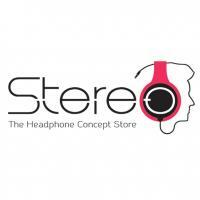 Check out this month's promotion for Unique Melody only at Stereo Electronics! With Unique Melody, being transparent doesn’t only means drivers are distinctly seen. It also refers to the sound that is passing through to your ears. Unique Melody in Baby Blue Faceplate, Midnight Blue shells with UM Metal logo. Unique Melody has been providing custom designed in-ear monitors to audiophiles, music fans, artists, producers and sound engineers. Their commitment to comfort, quality and accuracy in their products is unsurpassed in the industry. Unique Melody had successfully stirred interest in the audiophile community with their ten balanced armature drivers model, Mentor. After months of brainstorming and designing, Unique Melody is proud to present Legacy, their newest custom/universal fit in-ear monitor custom tuned by Stereo Electronics with twelve balanced armature drivers and a three-way crossover that will satisfy even the most critical ear. Now available and ready for audition, exclusively at Stereo Electronics. From the faintest whisper to the most ear-deafening sound-pressure levels maintains an unheard degree of composure and fidelity. Experience the pure energy of music – Just as you would present at the original performance. Unique Melody Legacy is now available for order. Hurry now to Stereo@Plaza Singapura or Stereo@ION Orchard and be among the first to audition the Legacy, Unique Melody's newest 12 Balanced Armature Drivers Custom IEM. Financing available up to 12 months interest-free instalment plan with Citibank credit card! Thank you for the kind words, fengwei from Hardwarezone! Certainly, we feel twice of the happiness you have upon knowing that you are satisfied in every aspect of your newly reshelled IEM. We are loving the color combination and heart-shaped UM CIEM you have there as well! Did you know? Unique Melody has six different types of Wood inserts. You can choose between Dalbergia, Mohogany, White Elephant, White Shaddock, Dalbergia Odorifera, and Zebra like this Unique Melody Miracle being featured today. Enjoy a 10% off discount on all reshell options plus a FREE shipping for any full custom or reshell until 31st October. Hear music with a peaceful mind and a calm heart. Unique Melody lets you listen to music as if you are always in paradise. Unique Melody Miracle in Solid White faceplate, Wine Red shells and tips with artwork and Unique Melody Black logo. Enjoy a 10% off discount on UM Merlin and Miracle (custom or universal fit) plus a FREE shipping. Valid until 30th November. Terms and Conditions apply.